By default, Audacity didn't include with mp3 compresed. 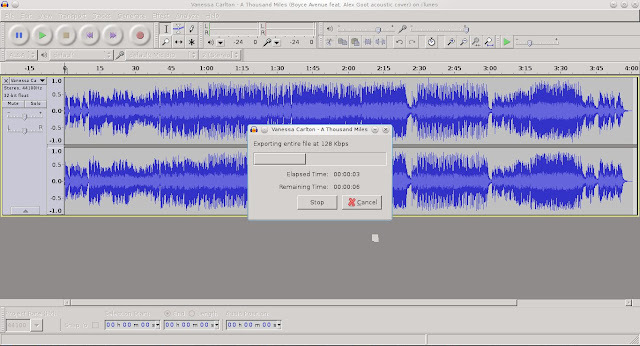 When we try to export file as mp3 format it will requere libmp3lame as library compression. di slackware 13.37 blum. 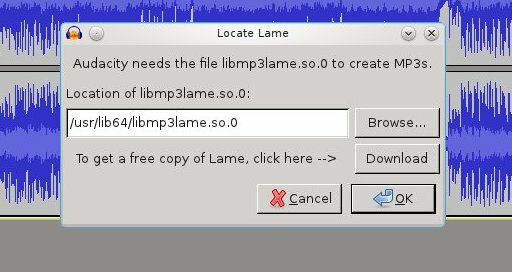 jadi masih harus menambahkan dependensi lamemp3 yang diperlukan audacity untuk convert audio. lumayan untuk mengedit2 file audio di linux.